As pointed out in my previous post (here), City Harvest Church’s (CHC) Rev “Dr” Kong Hee and Rev “Dr” Phil Pringle obtained their master’s and doctorates from the grandly named New Covenant International University and Theological Seminary (NCIU), a diploma mill (awarding bogus degrees for money) in Lake Worth, Florida. NCIU was founded in Auckland, New Zealand in 1978 by a New Zealander “Dr” Kevin Dyson, who has only very recently (September 2010) been appointed to the Advisory Committee of CHC, along with Phil Pringle, to improve CHC’s structure, governance and accountability (source). It therefore appears that Kong Hee, Phil Pringle and the founder of the diploma mill, Kevin Dyson, are on very close terms indeed. “Dr” Kevin Dyson is also an Adjunct Lecturer at Tung Ling Seminary, Malaysia (affiliated with Tung Ling Bible School, Singapore). Kevin Dyson holds a Master of Religious Education and a Doctor of Divinity (Restoration Church History) from Jubilee International Bible Institute, CA, USA, as well as a Doctor of Philosophy in Biblical Counseling from Evangelical Theological Seminary, MO, USA. There are various outfits (mostly suspect) called Jubilee International Bible Institute and Evangelical Theological Seminary online, but there is no Jubilee International Bible Institute in California (CA) and no Evangelical Theological Seminary in Missouri (MO). A higher education institution that has no online presence whatsoever is automatically suspect, if not outright fictitious. It is most probably a diploma mill. Evangelical Theological Seminary has since changed its name to Biblical Life College and Seminary, operates out of Dixon, MO, claims accreditation by American Accrediting Association of Theological Institutions (not recognized by the U.S. Department of Education ), and (under the name of Evangelical Theological Seminary) is also listed as a degree mill in Chapter 12 of Name It and Frame It? 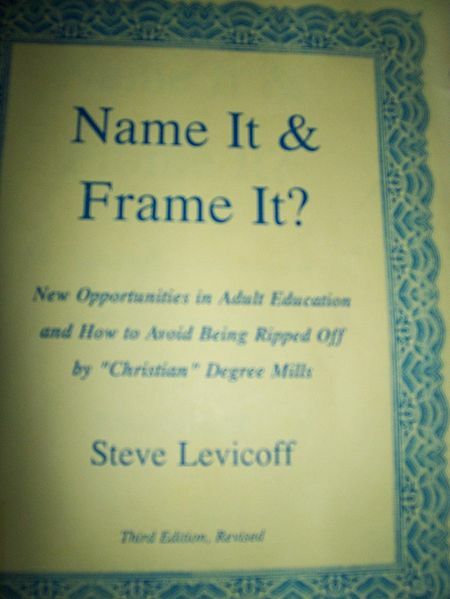 New Opportunities in Adult Education and How to Avoid Being Ripped Off by ‘Christian’ Degree Mills (affectionately known as NIFI) by Steve Levicoff, Ph.D.
Kevin Dyson’s “alma maters”, Jubilee International Bible Institute, CA, USA, and Evangelical Theological Seminary, MO, USA have no online presence whatsoever. Furthermore, Evangelical Theological Seminary, MO, USA is listed as a diploma mill by Levicoff. I therefore conclude that both outfits are bogus. It would appear that Kevin Dyson has practiced fraud and deception, by using bogus academic credentials, on Tung Ling Seminary, Malaysia, where he is an adjunct lecturer (unless Tung Ling colluded with Dyson in perpetrating the deception on the public). 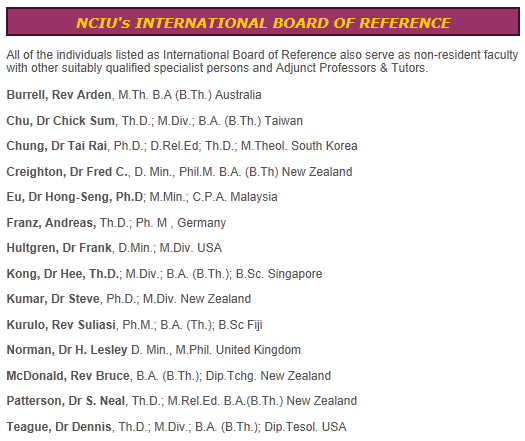 Interestingly, Rev “Dr” Eu Hong Seng, Chairman and faculty member of Tung Ling Seminary, is also on Dyson’s diploma mill NCIU’s International Board of Reference (along with Kong Hee). So perhaps Tung Ling is indeed in collusion with Dyson in the deception. Dyson’s dishonesty further strengthens my belief that NCIU which Dyson founded is a fraud and a diploma mill, from which Kong Hee and Phil Pringle, close friends of Dyson’s, obtained bogus doctorates. Kevin Dyson holds a BA (BTh) from Jubilee International Bible College (JIBC), Queensland, Australia. 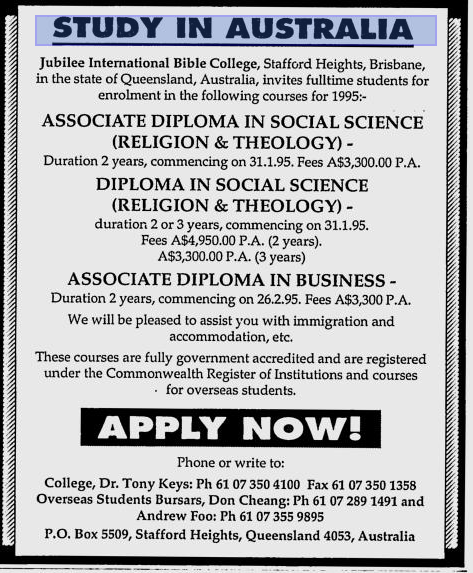 The above advertisement links JIBC with “Dr” Tony Keys in 1994. The following LinkedIn profile however associates him with Jubilee International Christian College of Brisbane in 1994. An outfit whose President (and founder, apparently [here]) is confused about its name is very worrying indeed. From its small beginning of four students, the college grew to a student body of over 230 with nine staff members. During this time the college trained and equipped over 1200 students. These students are now serving in twelve different denominations in twelve countries throughout the world. Kevin Dyson founded NCIU in 1978. His BA (BTh) is from Tony Keys’ outfit, Jubilee International Bible (Christian?) College in Brisbane, founded in 1983. Therefore NCIU, a “university”, was founded by Dyson at least five years before he started his undergraduate study. An amazing feat indeed. 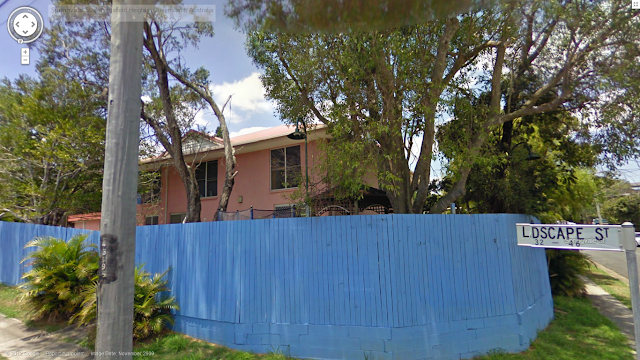 The former principal (c. 1990-94) of Tung Ling Bible School in Singapore, “Dr” Neal Patterson, holds a Doctorate in Theology from Jubilee International Bible College (JIBC) in Brisbane, Australia (source). According to Tony Keys, the founder and President (Feb 1983 – Dec 1999) of JIBC, the college has only nine staff members (academic and admin) in Dec 1999 (see Keys’ LinkedIn profile above). For such a modest outfit to award a Doctorate in Theology is another astounding feat. This is yet another sign of the quality of degrees/diplomas awarded by JIBC. I was excited to be able to virtually visit the JIBC “campus”. It is likely that JIBC is now defunct, though. For the building shown here to accommodate 240 staff members and students (as claimed by Tony Keys) is another feat. Dr Kevin and Joy Dyson have been actively involved in church planting, Christian education, pastoral leadership and biblical counseling for over forty-five years. Originally from New Zealand, they have a passionate understanding of a biblical worldview that enables them to serve those wanting to be trained and equipped for the work of Christ’s Kingdom. In latter years Kevin and Joy have functioned as “pastors to pastors” all around the globe, building a mentoring network of pastoral church leaders and front-line mission workers on five continents, who desire to see their own local flocks trained and equipped for the task of fulfilling the Great Commission through the Great Commandment. Dr. Kevin Dyson holds a Master of Religious Education and a Doctor of Divinity (Restoration Church History) from Jubilee International Bible Institute, CA, USA, as well as a Doctor of Philosophy in Biblical Counseling from Evangelical Theological Seminary, MO, USA. He received the award of Fellow of the International Academy of Educators for his work in advancing distance education. Currently he is the president of New Covenant International in Australia. He has two married daughters and a married son, and twelve grandchildren, ranging from age 24 to 12 years of age. I first ran across Vision International University a few years ago while researching a few issues concerning Newport University, as they were the only other institution besides Newport “accredited” by the IASCU. At the time, their Web site at http://viu.com had a minimal amount of information, and the only other Web site with any information was http://www.angelfire.com/rock/lathropcc/new_page_1.htm . Their accreditation statement (including a statement that they were affiliated with Newport University) was located at http://www.angelfire.com/rock/lathropcc/new_page_2.htm . These Web pages are still functional, probably due to the fact that a free Web host hosts them. Vision International University now claims to be “one of the world’s largest distance-education institutions with over 4,000 campus locations on six continents and in 112 nations.” What they neglect to say, of course, is that practically anyone can set up a “campus” and affiliate himself or herself with Vision. Conveniently, those who set up campuses, frequently end up being recipients of Vision degrees. The self-proclaimed mastermind of this Rube Goldberg-inspired educational franchise system is Dr. Stan E. DeKoven, president of Vision International University. In addition to a claiming a Bachelors degree in Psychology from San Diego State University and a M.A. in Counseling from Webster University, Stan E. DeKoven, also claims a D.Min. from the Evangelical Theological Seminary. Could this be the same Evangelical Theological Seminary that has since changed its name to Biblical Life College and Seminary, operates out of Dixon, MO, claims accreditation by American Accrediting Association of Theological Institutions (not recognized by the U.S. Department of Education), and (under the name of Evangelical Theological Seminary) is also listed as a degree mill in Chapter 12 of NIFI? Moreover, Dr. DeKoven also claims a Ph.D. from the now defunct (and never accredited) Professional School of Psychological Studies, and is allegedly completing his second Ph.D. in Leadership from Berne University. Dr. DeKoven is also listed (sans any titles or academic credentials, except for being the president of Vision Christian College and Vision Christian Ministries) as ”Professor of several courses in the counseling field” on Christian Leadership University’s Faculty Members Web site. Not surprisingly, at one time, Christian Leadership University claimed accreditation from ACI (it now claims it from the World-Wide Accreditation Commission of Christian Educational Institutions) through its affiliation with Vision Bible College and Seminary, and is also listed as a degree mill in NIFI. Currently their Web site makes no mention of any affiliation with Vision. Last edited by Gus Sainz; 04-30-2002 at 01:06 PM. “Listening to these church planters is like reading a new edition of Acts. We heard of people being raised from the dead, invalids who can walk again, blind who can now see, deaf who can hear and dumb who can now speak, as well as many new believers in the Kingdom of God,” he reports. 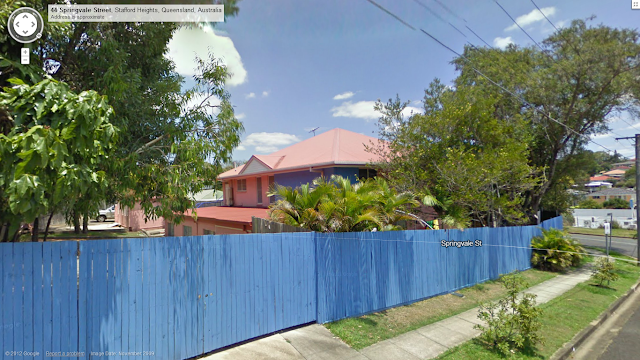 “One Hindu woman, for example, was in Fiji’s main hospital, suffering from terminal cancer. Her family was gathered around her as a Bible school student came by, visiting the patients. He was not only able to explain the gospel to the whole family, but also prayed for the woman’s healing. The woman was healed, along with others who were healed of deafness and dumbness. In response, 22 Hindus decided to become Christians. The government has asked NCI to develop a programme for the High Schools based on Biblical values, as politicians saw God’s power transforming young people and old. It is clearly a true, observable and lasting revival,” says Dyson. Hey guys, Jubilee definitely existed and was a renowned college back in the 90’s; I lived in the next suburb and went past it twice a day on my way to school. Also my sister attended there, and I knew the Principal’s kids. I don’t know what’s happened to it since. They used to hold most of their ceremonies at Northside Christian Family (now Nexus) because the college building was tiny. To my knowledge, CHC only appointed Dr A.R. 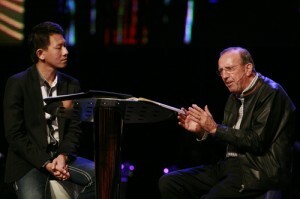 Bernard and Dr Phil Pringle as Chairman and Advisory Pastor, respectively. Dr Kevin Dyson is not, as what you wrote in the article. We did not write this article. We encourage people to contact ‘The Real Singapore’ to find out where they got some of their information from. I’m surprised to see you refer to Phil as a “Dr”, Vivienne: it has long since been established that his credentials are fake, and even in his c3 cult no one any longer uses that honorific when referring to him. (I’m not sure what the correct title for a heretic might be, but I’m fairly sure it smells strongly of smoke and brimstone). Prehaps you might like to pioneer a Bible College in Malaysia for over 20 yrs who’s students went on to bring 1,000s to Christ in a Muslim country as just one example of of Neil’s great work – The Bible say’s “Know Them By Their Fruit” Question – Please show me your fruit??? Perhaps you should read your bible before you call them “great leaders in the body of Christ”. It’s best not to speak from ignorance. Then again, you just obtained your degree from NCIBC. We can tell you studied at NCIBC judging by your exceptional grammatical skills and supreme biblical hermeneutics. Prehaps you might like to try a spell checker lol. They’re not “great”, nor are they “leaders”, nor are they in any way, shape, or form part of the body of Christ. The fact that you worked “incredibly hard” may be a reflection on the difficulty of the work that you undertook, but I think it’s far more likely that it is actually a reflection on your paucity of academic skills. Ooh, ooh – what a lucky, lucky man you are then! Could you tell us which other men you worship? (Many of those who post here are quite content to sit at the feet of Jesus, but I have heard that there are many latter-day Pharisees getting around who just *love* to get praise and honour from one another – it really greases the wheels of the apostate’s speaking circuit, among other things). “Snr. Pastor David Wilkinson – Tauranga – New Zealand”. So you are a “Pastor”, and a “Senior” one at that! My, my, what an exalted position you hold, and you’re a Kiwi to boot! Should we prostrate ourselves before your glorious greatness then, Oh Mighty One? I have met these men , known there history and also know of their self proclaimed credentials . dyson is a rogue, manipulative arrogant prat . he and Patterson got their letters after their names by their own manipulation and greed of recognition . So many people do not follow Christ anymore due to these 2 false ungodly men . One day they will be held accountable for all the disease they spread amoung beautiful Christians .